Classified military footage of the Phoenix Lights UFO phenomenon has recently been leaked by a former U.S Air Force aviator. The footage reportedly captures never-before-seen cockpit footage of Lockheed-Martin F-16 and Fairchild Republic A-10 Thunderbolt II fighter jets in action the night of the original incident 17 years ago. 56th Fighter Wing Public Affairs at Luke has received numerous inquiries and requests, but has remained silent on the footage. The report claims additional footage of multiple civilian casualties has been obtained. The “Phoenix Lights” incident is one of the largest UFO sightings in North America. Thousands of Arizona residents became alarmed when they noticed a sizable object in the sky above Phoenix 19 years ago. Multiple eyewitnesses reported a diamond-shaped craft hovering above the city for at least a couple of hours. Nineteen years later, questions about the Phoenix Lights are still being asked. Arizona residents still remember the phenomenon and the new footage has stirred more tension around the 19-year-old event. The lights have been the subject of intense scrutiny, government denials and internet documentaries. This never-before-seen video of an engagement during the Phoenix Lights was leaked online this weekend, by KWBV News journalist David Collins1. 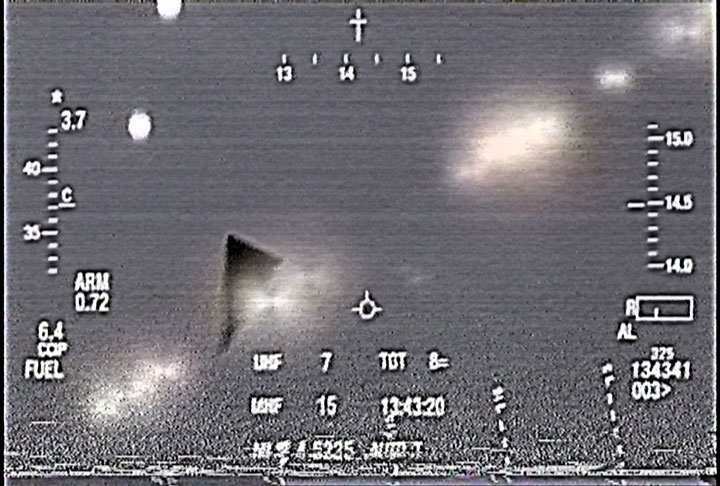 The FLIR video purportedly depicts military and unknown craft on the night of the mass sighting over Phoenix in 1997. Scott Wolff is an accomplished writer and renowned aviation photojournalist. He has held the position of Managing Editor for a print flying lifestyle magazine, and is the Host and Editor for FighterSweep. Scott’s area of expertise is military flight operations, drawing on ten years of experience working extensively with all branches of the armed forces. He holds an FAA pilot certificate, the culmination of a life-long passion for flying airplanes. Scott has received military altitude chamber training, emergency egress training, and has logged time in a variety of civilian and military aircraft. He is also a member of the International Society of Aviation Photographers and Nikon Professional Services.